There have been a lot of new manufacturers joining the wireless speaker market, so we can find many cheap options. 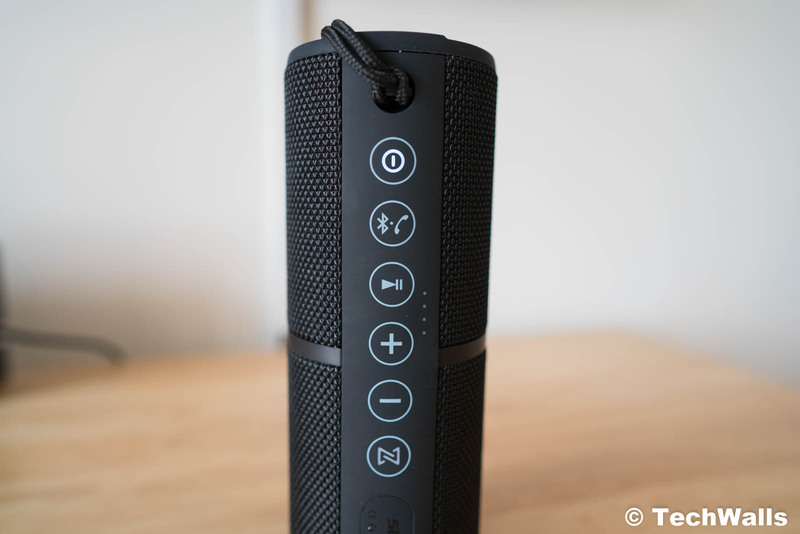 The speaker we’ve just tested comes from an unknown brand but it comes with many features. 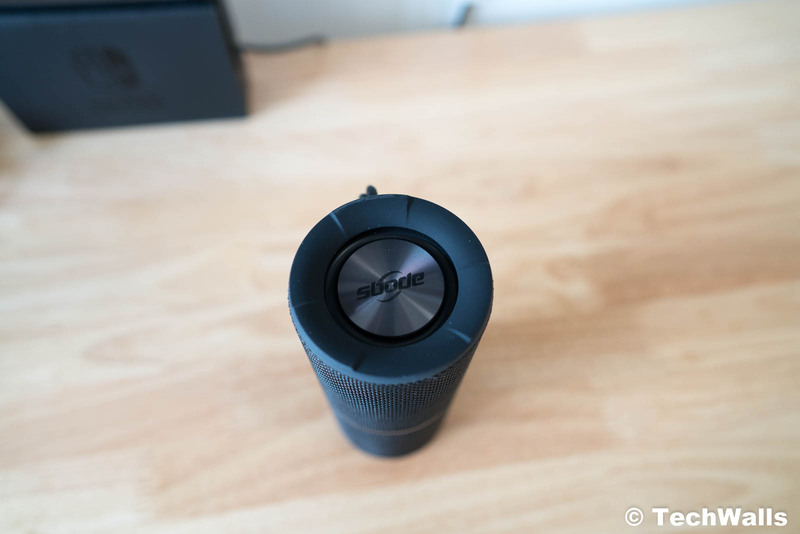 Let’s check out the Sbode Bluetooth speaker. The product comes in a simple packaging; You just can find the speaker, a micro-USB charging cable, and an audio cable inside the box. 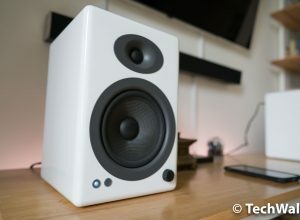 I’m very impressed with the design and build quality of the Sbode speaker. 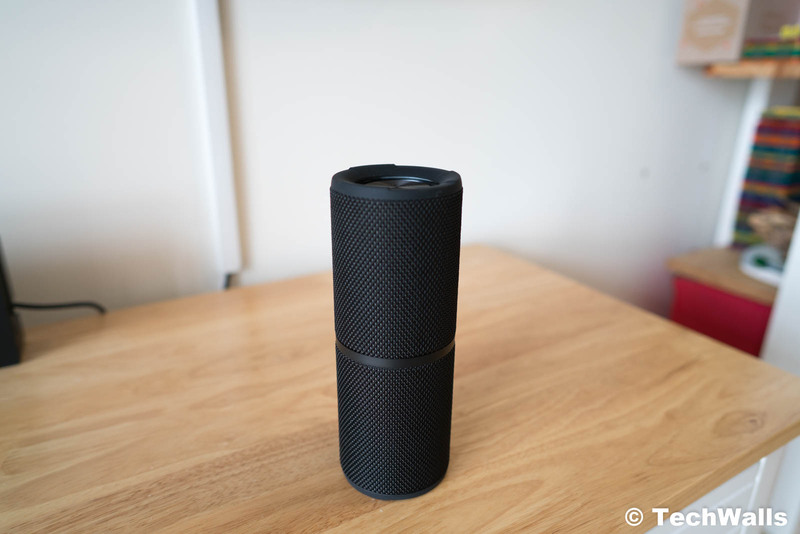 It has a similar look as some other Bluetooth speakers from JBL or Ultimate Ears. You can see the cylinder shape with fabric grille wrapping around the body. Bass radiators are placed on the two ends to enhance bass response and all control buttons are placed on the back. The charging port, auxiliary port, and a microSD card slot are also hidden under a rubber flap here. Notably, there is an LED battery indicator, so you will always know when you need to recharge the battery. A nice feature of the speaker is True Wireless Stereo Function; This would require you to buy two speakers, then pair them together to create a left and right channel. 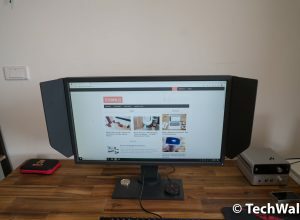 You can use this as a speaker system for your computer/laptop, unfortunately, the battery life of the Sbode is not long enough. You will need to recharge it after around 6 hours of music playback. 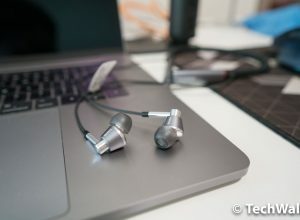 An advantage of the speaker is the tough design with rubberized housing and IPX6 water-resistant rating. Besides, it also features built-in FM function and you can search for local stations automatically. The speaker doesn’t lack bass but it is not really deep. Most of the punches you hear come from the lower mids. The volume level is not loud enough if you’re using it in a large room or outdoors. I often have to crank up the volume to maximum. The mids are forward and I feel it is quite aggressive. This is also the reason I didn’t enjoy playing music with this speaker. This is an average speaker if you’re using a single unit, however, if you pair 2 units together to create a stereo system, the sound becomes much more interesting. I could lower the volume and many limitations disappear. The sound is not harsh anymore and I can hear a wide soundstage and smoother vocals. Although the Sbode is quite cheap, the price difference between it and some popular Bluetooth speakers from JBL is insignificant. 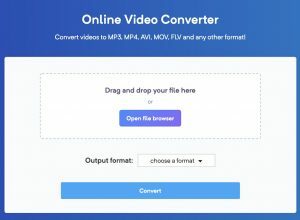 Users can totally save up a little more to get a product from a more reputable brand. I only recommend the product when its price drops to around $30. A great news is that Sbode is offering a special coupon for TechWalls’ readers; You can use the promo code 3DVZTVW9 during checkout to drop the price to $34.99. The code will expire on April 28th. An acceptable Bluetooth speaker but it needs to be cheaper.